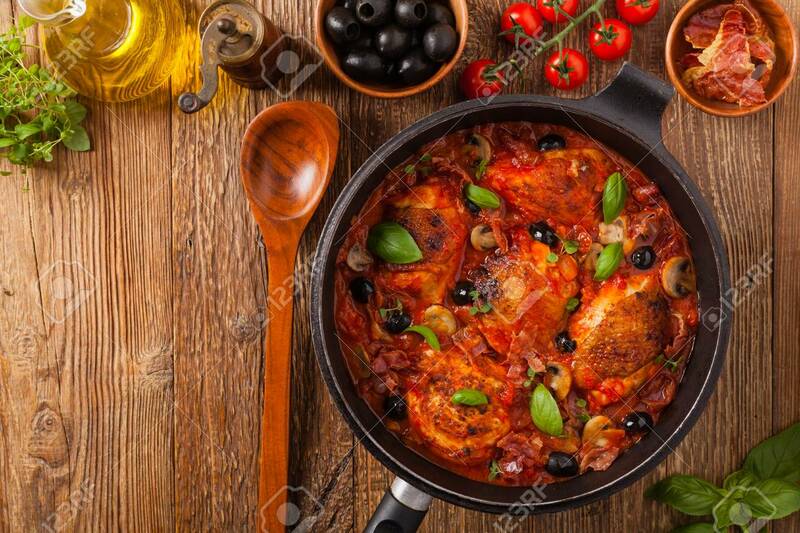 Traditionally Made Chicken In Tomato Sauce Cacciatore. Top View. Flat Lay. Fotos, Retratos, Imágenes Y Fotografía De Archivo Libres De Derecho. Image 118519666.